On Saturday Luke decided that he wanted to make a cake "all on his own" like William does! 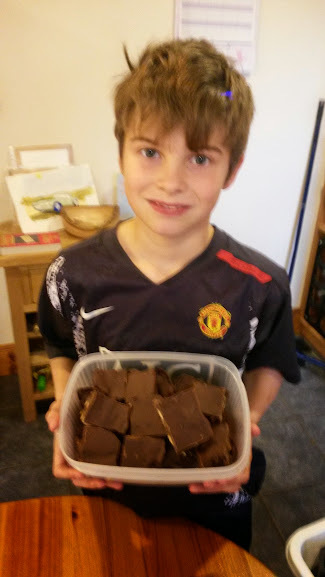 When I asked him what he wanted to make he decided to make chocolate biscuit cake. This is a really good cake to make with children as not only does it taste delicious you don't need to put it in the oven. 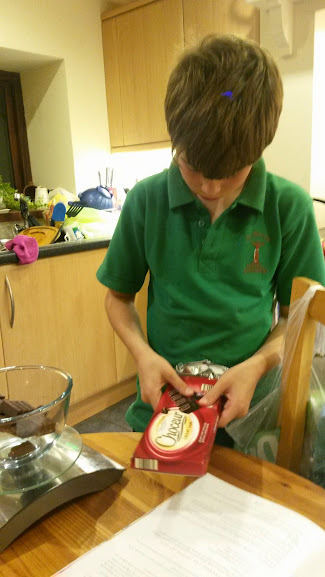 The first thing he did was weigh out the chocolate so it could sit on the aga to melt whilst he was making the rest of the cake. 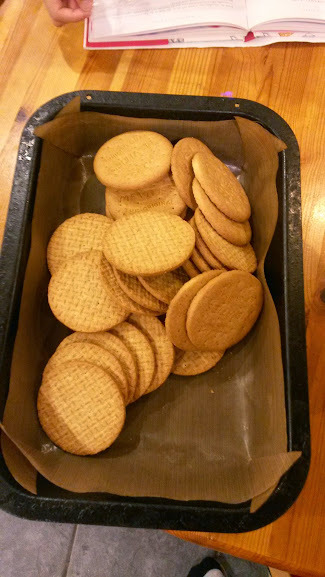 He then weighed out the digestive biscuits. 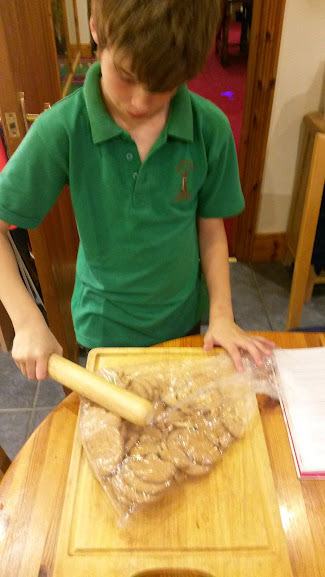 Next came his favourite part, breaking the biscuits with the rollling pin. He put the biscuits into a plastic bag and then put this on the bread board before he started bashing the biscuits. 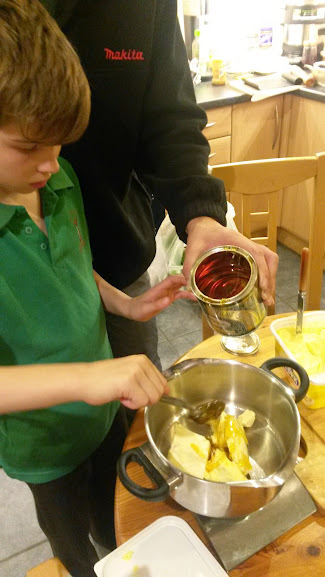 Once the biscuits were smashed he weighed out the margarine and syrup.Mark was roped in to hold the syrup whilst he weighed it so it didn't go everywhere. 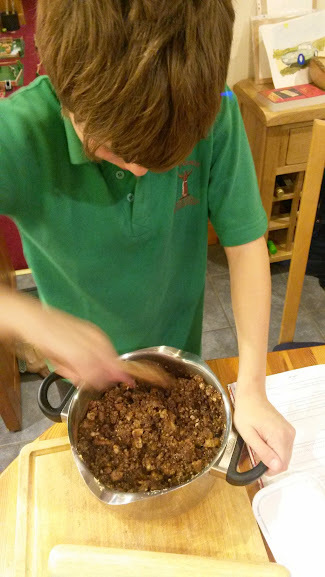 He then put the pan on the aga and stired it until it melted and then added the cocoa powder, cherries and biscuits and mixed them all together. 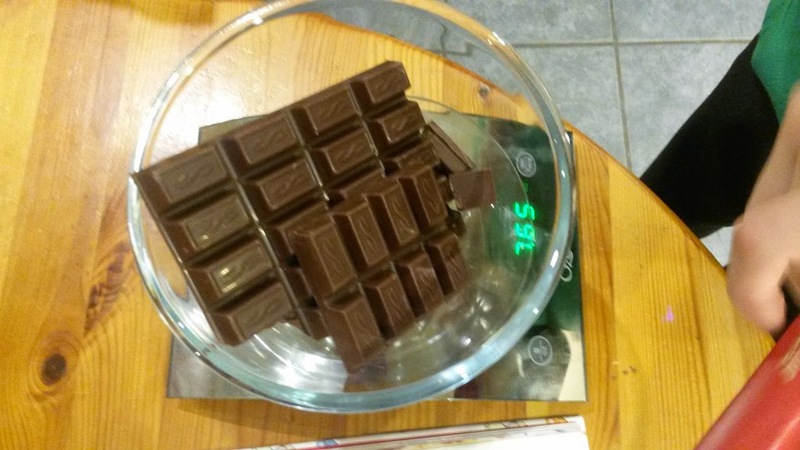 The mixture was put into a baking tray, pressed down and then the melted chocolate was added to the top. 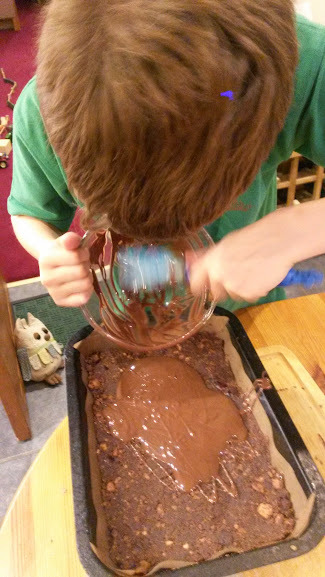 He smoothed the chocolate out and then covered it with cling film and put in the fridge to cool. When it came out we cut it up into squares and he was really proud that he had made it all himself.